NOTE: The purpose of this series is not to bash medical interventions during labor. I know that they can and do save lives everyday when certain complications arise during labor. I am 100% in agreement when it is clearly needed. 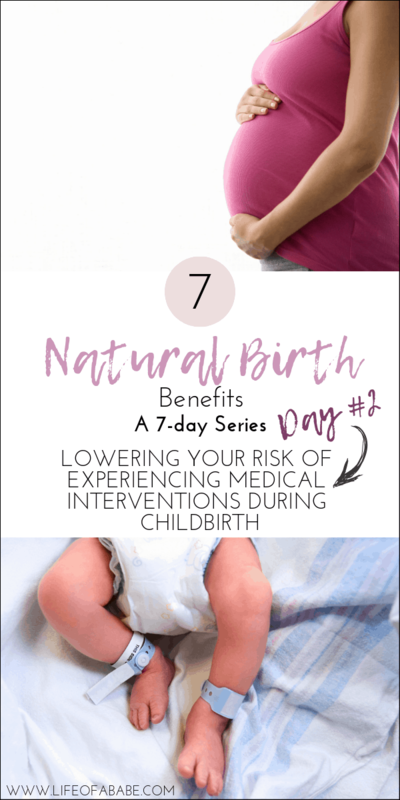 One of the many benefits of having a natural birth, is lowering the risks of experiencing the infamous cascade of interventions. In the birth world, the cascade of interventions is a term used to describe the domino effect that can occur after one intervention. In a natural birth, your body produces beta-endorphins (hormone) which are responsible for pain control during labor and for regulating the release of the oxytocin hormone. Yes, your body already produces oxytocin on its own! With Pitocin, this natural process of regulating does not occur, and the body is thrown into labor without the benefit of the endorphins that are responsible of managing the pace and growing intensity of labor. This is the reason why many moms report that their contractions are a lot more intense and painful when labor is induced with Pitocin. The cascade of interventions that usually follows a labor inductions with Pitocin is, the use of an epidural to help cope with the intense contractions, an IV to pump fluids in order to increase blood pressure (since epidurals can lower blood pressure) and then, continuous fetal monitoring to ensure that baby is handling labor well. With a natural birth, the body’s natural physiological processes are undisturbed and the process of childbirth is easily facilitated. The less we interfere with the natural physiologic process of labor, the more we can expect that a laboring woman’s body can do what it has been designed to do effectively and without major complications that will require further intervention. 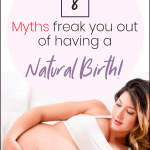 Are you planning on having a natural birth? 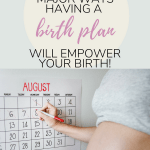 I created The M.O.M Natural Birth Prep to equip you with knowledge, practical tips, and motivation that will help empower you to have the natural birth of your dreams! In celebration of this, I’m hosting a FREE giveaway! One lucky mama will win FREE lifetime access to the M.O.M Natural Birth Prep AND to The Ultimate Breastfeeding Class (or The Ultimate Back to Work Pumping Class) by Milkology®. If you are planning on having a natural birth and if you are planning to breastfeed and/or pump, you will LOVE this bundle! It is the PERFECT ULTIMATE BUNDLE that will help get you setup for success! Simply subscribe to my email list and drop ONE comment below and let me know why you should win this awesome bundle! Don’t forget to click on these links before you enter, to learn more about these amazing online resources so you know exactly what you have a chance of winning! *** GIVEAWAY RULES*** This is an international giveaway. Please ONLY COMMENT ONCE on this post OR on any other ONE of the 7-day series blog posts that will be posted everyday until Sunday, March 31st, 2019. PLEASE ONLY COMMENT ONCE. Commenting on multiple posts will have you disqualified. Make sure you comment using a valid email address because if you win, you will be contact via this email address. Please make sure that the email address you subscribe with matches the email address you use to leave a comment. If you win, you will have 48 HOURS from the time you receive the email to claim your prize. Be sure to check all of your inboxes so you don’t miss the email. If no response is given within this time frame, another winner will be chosen. The giveaway will run from 12AM EST on Monday March 25th, 2019 to Sunday March 31st, 2019 at 11:59PM EST. The winner will be contacted directly via email on April 1st! If you subscribe to my email list before April 1st, 2019, you will receive the coupon code once the course goes live on April 1st.